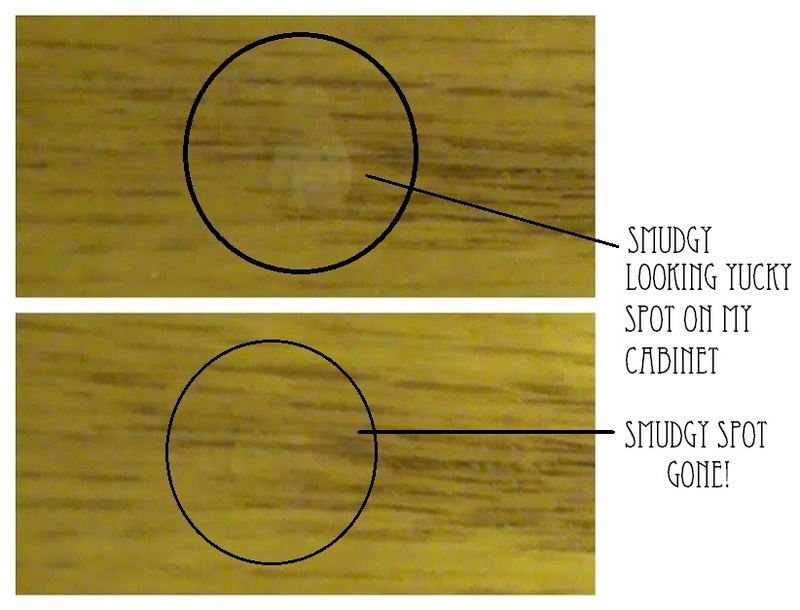 One of my kitchen cabinet doors has had a little smudgy looking little scuff on it that has been driving me absolutely insane! I’ve actually considered painting the cabinets or possibly refinishing them with something else but they are really nice, quality cabinets and my husband would kill me if I messed them up..and I’m pretty sure our landlord would too! Not to mention, refinishing ALL of the cabinets over one little scuff is probably a bit extreme too, even for me. Well guess what?! I got rid of that annoying, obnoxious, smudgy looking scuff and I didn’t paint or refinish anything! How did I do it you ask? 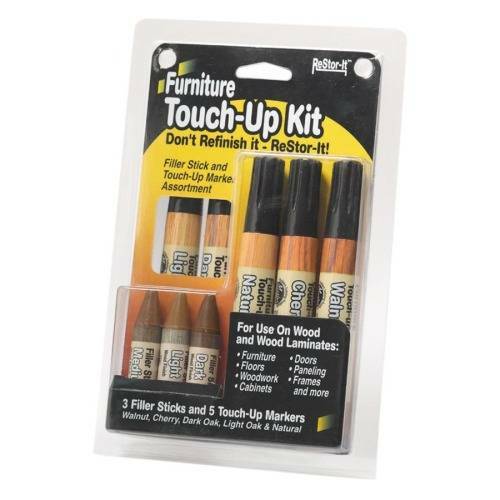 With the Master Caster Furniture Touch-Up Kit! Don’t Refinish it- ReStor it! 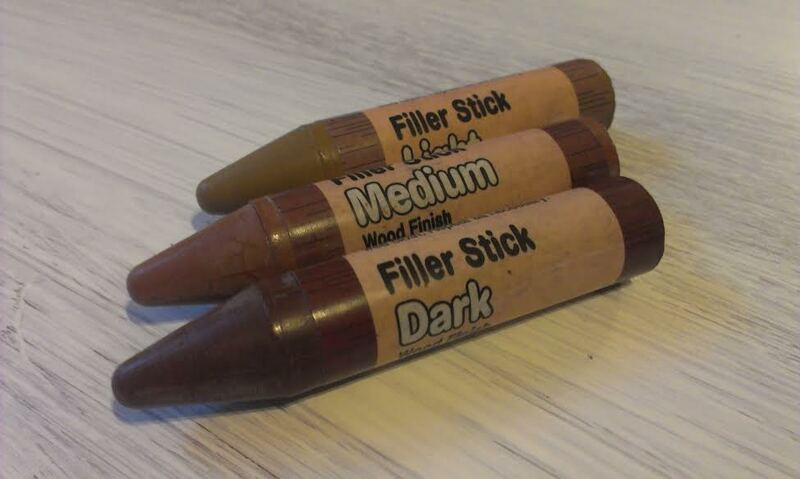 The kit includes 3 Filler sticks & 5 Touch-Up markers in several different wood toned shades. 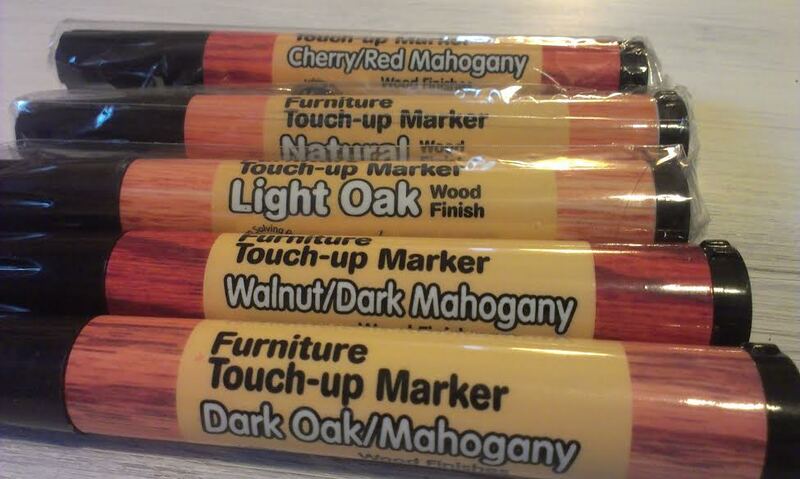 All you have to do is apply the marker color directly to minor scratches, worn edges, blemishes, or imperfections. 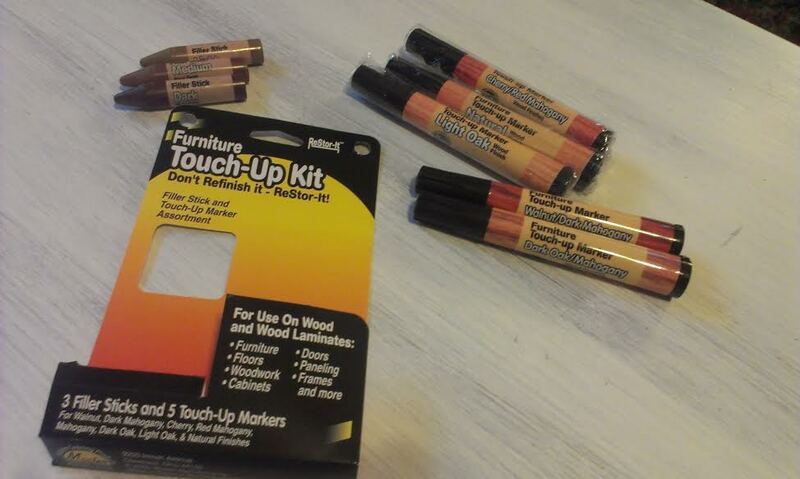 Use the Filler sticks to fill scratches, gouges, nail holes, and cracks. You can also apply the ReStor-It Marker color over filler if needed. When you’re done, quickly wipe off excess Marker and/or Filler stick with a clean, lint-free cloth. Shop for office supplies and more on Shoplet! *Disclosure: I received this product free of charge to conduct this review. All opinions expressed within are still my honest & true opinions. Swear!